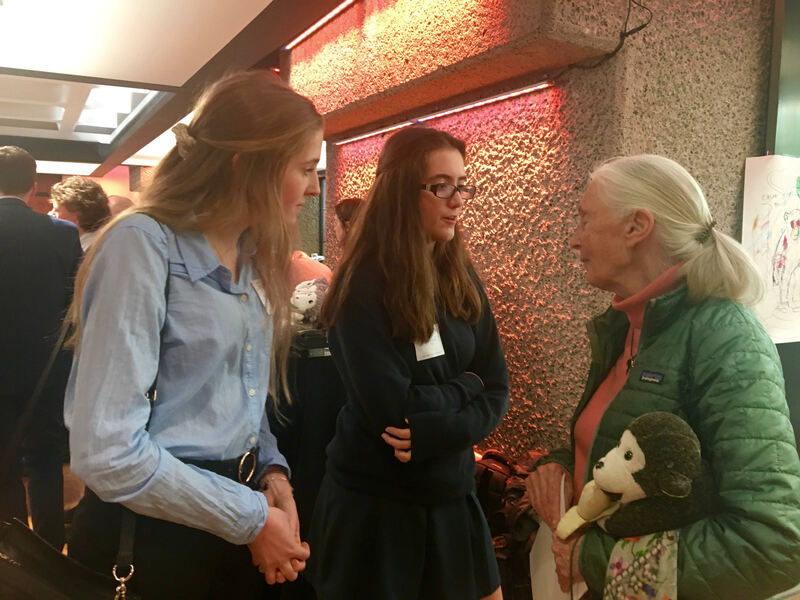 TASIS has been actively involved with Dr. Jane Goodall's Roots & Shoots Program for about 12 years. 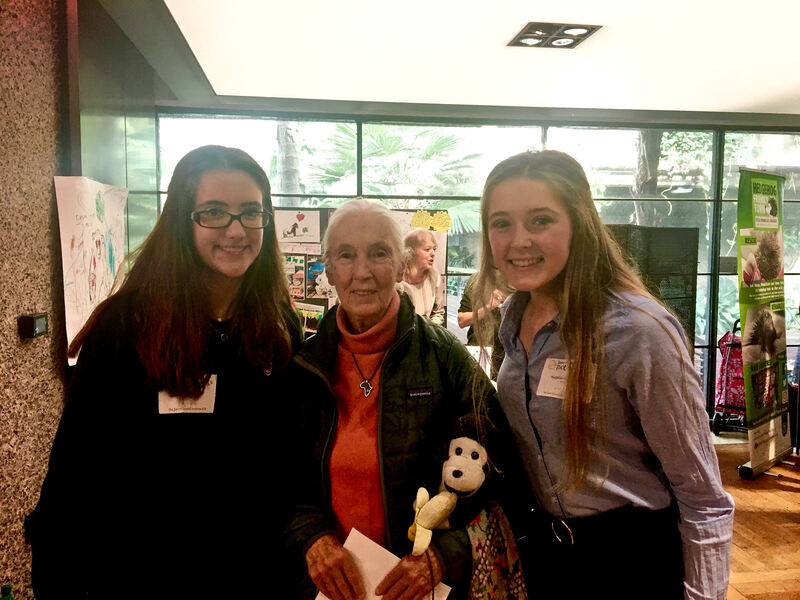 Over this time, TASIS students have won a Roots & Shoots Award four times and were also included in a National Geographic Kids magazine article with Jane Goodall for the wildlife pond they built in the Fleming Garden. The annual Roots and Shoots Awards celebrate the achievements of young people who campaign, raise money, and make positive changes to help people, animals, and the environment. This year, Ms. Wendy Gediman was invited to attend the event at London's Barbican with two Upper School students who acted as representatives of the students involved in Romanian Children's Relief (RCR) at our School. Emily W. and Natalie S. were selected for the volunteering work that they have done both on school trips and on their own time with RCR. They got to spend time looking at the projects done by 11 other schools, which were chosen from the 2,000 groups that participate in the global Roots and Shoots program and represent children from pre-school to university level. Our students engaged with each school and learned about all the amazing things being done. This gave them a lot of good ideas to bring back to TASIS. The highlight for them was when Jane came over to speak with them. She enjoyed hearing their stories as Emily and Natalie told her a bit about the work that takes place on our RCR trips. Afterward, Jane spoke to all of the students in the Barbican Centre Theatre about why they should always have hope and work towards making positive changes. The girls left feeling truly inspired! You can read more HERE about Jane Goodall and the Institute she founded to ensure that her vision and life's work is carried on.